The nature of sales has, and continues to changed dramatically because the buyer’s journey has forced it to change. Like it or not, sales is no longer about features, advantages and benefits, it’s all about showing your customers that you can bring them insights that they can’t find themselves. 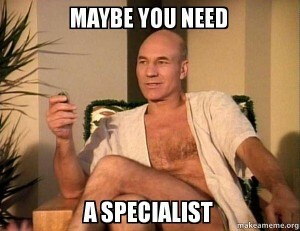 High level sales performers who consistently go above and beyond their quota are those that are viewed as a “specialist” (not generalist) and who are comfortable using new technologies, new channels (like social) and who trust their data. They seek out new channels to connect, build personal brands and constantly improve their skills through sales education and an unquenchable intellectual curiosity. Having ‘general’ knowledge is often quite useful in the sales context, especially in the early stages of developing trust and rapport. That is, if you (sales person) have the ability to discuss a wide range of topics when you first meet a prospective client, then your chances of being able to hit on a topic of mutual interest is increased dramatically, and this definitely increases the chances of being respected, liked and trusted. However, when the conversation turns to the prospects specific complex problems, your general knowledge is now useless, and you had better have something insightful to add to the conversation. It’s analogous to going to a General Practitioner (GP) if you have a serious medical problem….what you need is a ‘specialist’. 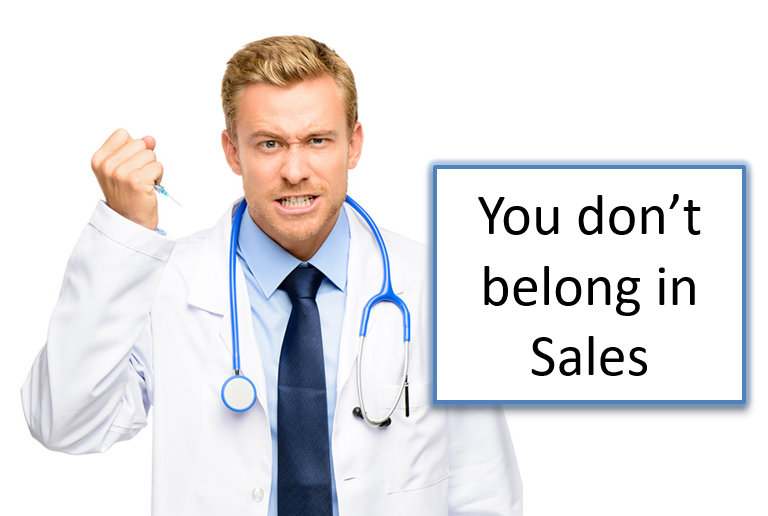 To make matters worse, we sales people are now being assessed and categorized more than ever before, and rightly so. When you think about how much we cost our respective employers in the pursuit of driving sales revenue, it’s only fair that we are heavily scrutinized and assessed on a regular basis. After all, which other profession employs people with zero qualifications or academic achievements (in some cases) and then compensates those same people in the top 1-2% of the income earning population (worldwide)? Like all imbalances, “the invisible hand of the market” (Adam Smith 1776), or natural market forces, is now beginning to counterbalance this anachronism, and sales people will be forced to ‘step up’ in order to keep being paid the way they have been previously. Unfortunately, many will not be capable of making this step, and it’s these sales people that will be left behind moving forward. “Of the circa 4.5 million B2B salespeople in the US today, one million jobs will be axed by 2020”. Forrester Research. The extent to which you are pigeon holed as an A, B, C or D-grade player (sales person) now has more to do with your current level of ‘specialist knowledge’ than it does with your ability to hit quota. We all know sales people that have been fortunate enough to find themselves in the right territory, in the right growth market, at the right time, and the combination of these circumstances have meant that they have smashed their quota…sometimes year-on-year for several years. But that’s increasingly unsustainable in the new customer-led era where product life-cycles are shorter and customers know more about your products than you do. This ‘lucky’ sales person will eventually be found out as an A-grade impostor at the top of the pyramid unless he/she possess “specialist” knowledge or skills that can facilitate ongoing A-grade performance levels. Eventually our impostor will slip down the pyramid, and I have personally seen this happen many times. 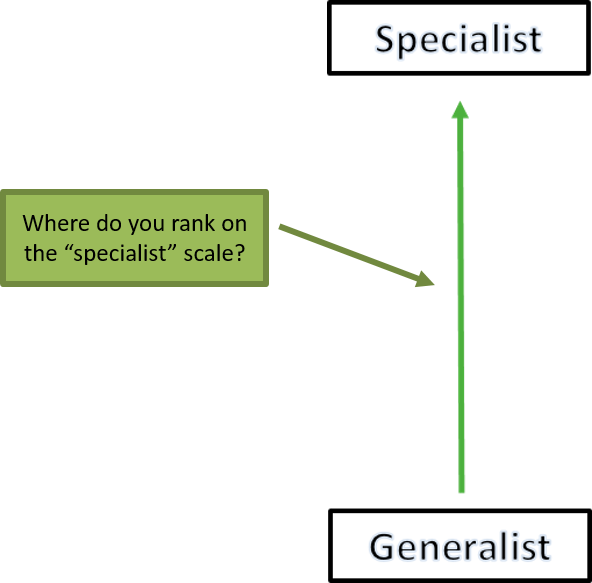 Transition from ‘generalist’ to ‘specialist’: It’s hardly surprising that the ‘generalists’ are now routinely being viewed by their customers as “adding no value”….and these ‘generalist’ sales people must now begin asking themselves the difficult question: “why would any customer waste an hour of their time meeting with me if they already know as much (if not more) than I do?”. Regardless of your high quality, low cost, well positioned, best of breed, market leading product, if you don’t add “commercial insights” (CEB) and/or challenge your customer to think differently, then why would they waste their time meeting you? Wouldn’t it be smarter and much more cost effective for the customer to simply send you their order? – they’ve already done all the research and read all the independent product recommendations, and they know exactly which product they want. The last thing that they need is a meeting with you when they are already strapped for time – and now you are simply an ‘order taker’, and consequently, you are now also categorized as a C or D-grader. Sad, but true. Given all of the above, one can only conclude that sales transformation is no longer optional – it’s mandatory for survival for all sales people and sales leaders. The starting point for transformation is primarily about making the transition from generalist to ‘specialist, and this is going to be a critical success factor for sales people and the time to start is now. For some, becoming a ‘specialist’ will be impossible, and the smart B, C and D-grade sales people must now begin the process of protecting their careers….and that means accepting that you need help. Developing a contingency plan would be a wise place to start. So, if you suspect that you are currently being viewed as a ‘generalist’ B2B sales person (regardless of industry) and you have a record for not meeting quota, then I strongly recommend that you begin developing a career plan to transition out of sales. Technology and automation will mean that the C and D-graders will be culled over the coming years unless they have, or can quickly develop some unique ‘specialist’ knowledge, skills or expertise that customers actually value. 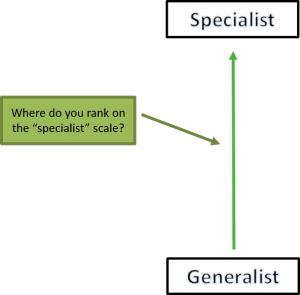 So, it’s now time to make an honest call, and either commence your climb from generalist to specialist or begin plotting your path out of sales and into a new career. “By 2020, customers will manage 85% of their relationship with their suppliers without interacting with a human” (Gartner). “I’m a generalist, what are my options?” Stay tuned to my upcoming posts for some answers to this important question. In the meantime, you can follow my LinkedIn post page for all my articles.